Working at the kitchen table is fine when you are just setting out, or you only have a few screws to insert. Even then, you can still make a mess that’s hard to clear up. Just like my husband borrowing “MY” Dremel to finish off a job that he couldn’t complete with his jig saw (it needs a new part). So setting up a custom built garage workshop, based in space that you might otherwise not be using would be a dream come true for many of us. You can see a video on this at the bottom of the page. Did you watch the mess being made with just a small Dremel on a ready cut out hole? Do you really feel like clearing all that mess after each job? Never mind that he should be wearing a mask because he is working with MDF composite board! It ended up with a brush and dustpan needed, plus a large sweeping brush and it still isn’t all away. 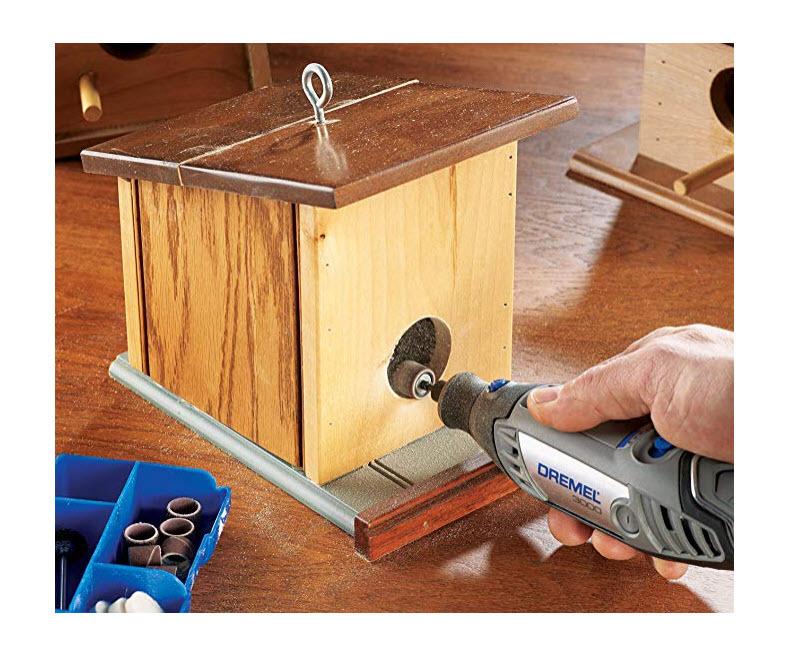 Dremel tools are small, so it often feels like you don’t need a full workshop to use them but it still makes it easier to clean up after a job.